Tracking how Magento 2 stands performance wise turned out to be quite a lesson in the area of enterprise software design for us all, especially after seeing how bad Magento 2 beta 3 vs Magento 1.14.1.0 EE performance comparison chart looks like. It's not that I enjoy pointing out flaws in the work other people do, what interests me is how certain design decisions affect how well platform at hand fits the requirements and how to avoid the same pitfalls when architecting my own code. So it's true Magento 2 performed poorly when compared to Magento 1.x Enterprise Edition just couple of months ago, lets see how it performs after seeing much of Magento 2 core team resources directed into that single requirement of increased performance and scalability. This entry was posted in Magento, Magento 2, Web Development and tagged benchmark, Enterprise Edition, jMeter, Magento, Magento 2 on June 2, 2015 by Marko. 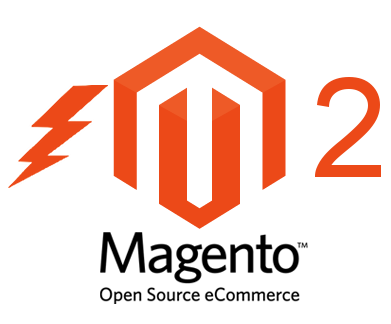 General consensus amongst developers playing with current Magento 2 development versions is that is appears to be much slower than Magento 1.x. Unfortunately before the public release of performance toolkit package for both platforms, it was quite hard to quantify performance regression in Magento 2. Performance toolkit was released last year, therefore I did the first benchmark using official tools for my Meet Magento Poland 2014 talk. Performance results were not impressive, but since Magento 2 just started to take shape, that was OK. Recently I had the privilege of presenting benchmark results for current state of Magento 2 code to significant part of Magento community. In communication with some of the community members, I promised to publish detailed benchmark results, hence this article. This entry was posted in Magento, Magento 2, Web Development and tagged benchmark, Enterprise Edition, jMeter, Magento, Magento 2 on January 22, 2015 by Marko. It didn't take long after Colin Mollenhour released it's Cm_Cache_Backend_Redis into the wild for Redis to become preferred cache storage backend in Magento world. With Magento 2 approaching rapidly, it's nice to know that once it goes GA, we'll find our good old Cm_Cache_Backend_Redis inside. But, since our familiar app/etc/local.xml has been replaced by app/etc/env.php, how exactly do we switch cache backends in Magento 2? Luckily not much has changed and basics of switching cache backends is just a matter of syntax, as I'll explain in this article. Additionally, although this isn't proper approach to configuring cache backends in Magento 2, by adjusting dependency injection container configuration, I'll demonstrate how app/etc/di.xml connects ins and outs of Magento 2 platform. This entry was posted in Magento, Magento 2, Web Development and tagged Cache, Full Page Cache, Magento, Magento 2, Redis on December 28, 2014 by Marko.